Jim McNeely, Kelly Sill and Joel Spencer have been performing together, whenever time and opportunity allowed, since they first met at the University of Illinois more than thirty years ago but had never recorded as a unit until now. After hearing Boneyard many listeners may be wondering why, as it's about as tasteful and charming as a piano-led trio album can be. 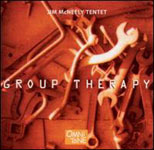 Pianist McNeely, a Chicagoan who is perhaps best known as music director of New York's superb Vanguard Jazz Orchestra and for his tenure with smaller groups led by Stan Getz and Phil Woods, is an attentive and adaptable moderator who is comfortable in any framework from straight-ahead to post-bop to avant-garde. With bassist Sill and drummer Spencer zealously guarding the castle, McNeely is free to roam, using his remarkable artistic powers to create memorable sound portraits of a series of popular and jazz standards, as well as original compositions from his musical storehouse and that of bassist Sill. McNeely arranged every number, and his keen sense of harmony and tempo is invariably suitable and pleasing, an avowal that is readily underscored on the opening and closing bookends, "Speak Low" and "In the Wee Small Hours of the Morning." The jazz standards include Dizzy Gillespie's seductive "Con Alma," Dave Brubeck's melodic "In Your Own Sweet Way" and Wayne Shorter's groovy "Fe Fi Fo Fum." McNeely wrote "For Manny (Albam?)" and the flag-waving "Ernie Banks," Sill "A Sense of Fairness" and Naomi." 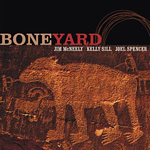 Boneyard, by the way, isn't a cemetery or a place wherein to discard used trombones, but the name of a creek that runs through Champaign, IL, near whose placid waters McNeely, Sill and Spencer began their musical partnership. They've not forgotten that, nor have they forgotten how to produce lovely music together. The trio may be up a creek, but not without heavy-duty paddles. Track Listing: Speak Low; Con Alma; In Your Own Sweet Way; For Manny; Fe Fi Fo Fum; A Sense of Fairness; Naomi; Ernie Banks; In the Wee Small Hours of the Morning. 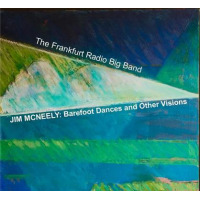 Personnel: Jim McNeely: piano; Kelly Sill: bass; Joel Spencer: drums.